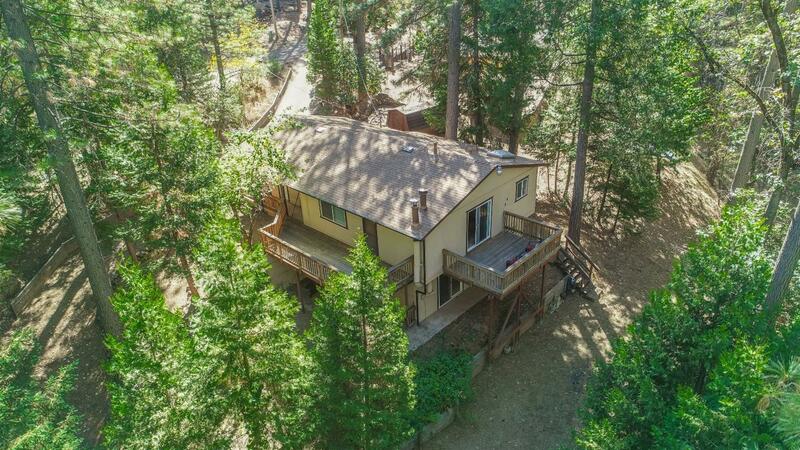 Turnkey cabin in the woods on quiet cul-de-sac! Main floor offers living room with gorgeous wood stove, bedroom, and beautifully remodeled kitchen and bath. Lower level has second living area, laundry room, bedroom and bath, separate entrance and parking! Perfect for mother-in-law unit, teens, or office. All new doors, lights, plumbing fixtures, and roof is nearly new! Private decks and a beautifully treed lot make this one special! Second access possible via French Gulch Rd!